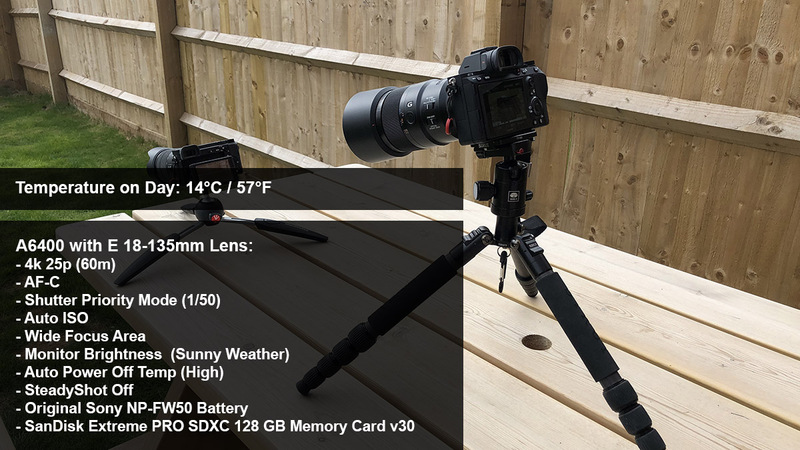 I’ve been running a few battery life tests on my Sony a6400 to see how long the battery will last when shooting 4k video. When I checked the camera during one of these tests I was quite suprized to see that it had turned itself off. 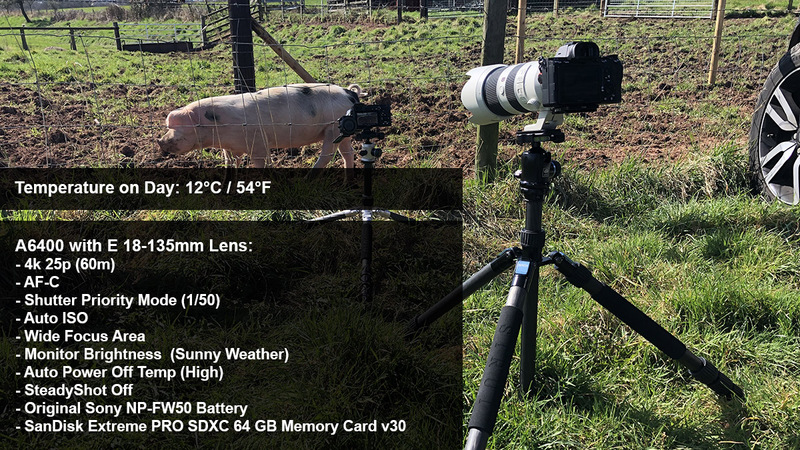 Since I was also recording the a6400 at the time with my a7III, when I played back the footage I could see that the overheating warning had come on at 40 minutes and the camera had then shutdown 18 minutes later at 58 minutes. 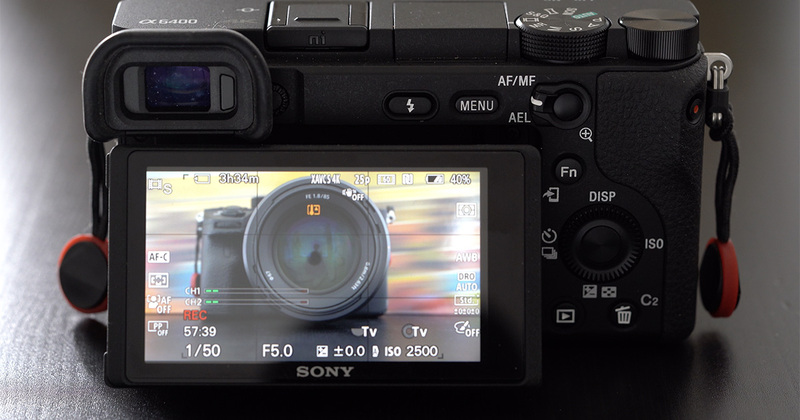 Sony does have an overheating fix for the a6400 that was also introduced via a firmware update in the a6300 and a6500. In the setup menu you will find an option called “Auto Pwr OFF Temp”. With this is set to standard the camera’s overheating warning will kick in when the camera gets too hot and it will shutdown. By changing setting to high the temperature threshold will be increased and the over-heating warning will kick in a lot later. However, by default “Auto Pwr OFF Temp” is set to standard. The only change that I made to my previous indoor test was changing the monitor brightness to sunny weather and the auto power off temp was set to high. I wasn’t expecting to have any overheating issues especially after all the videos I’ve seen on YouTube mentioning that it doesn’t overheat. So I was quite suprized when the overheat warning came on at 63 minutes and the camera then shutdown 3 minutes later at 66 minutes. The temperature was 14°C / 57°F at the time but the camera was in direct sunlight. After the camera had shutdown I picked it up and discovered that although it was warm to touch it certainly wasn’t too hot to handle. The a6400 packs an incredible amount of technology into a tiny body, so it’s not really suprizing that there will be heat issues. Since I’m enjoying shooting with my a6400 so much I certainly don’t intend to send it back, that’s unless I have received a faulty one. If I need to shoot 4k for longer periods I’ll hook it up to my Ninja V anyway so I’m not too concerned. 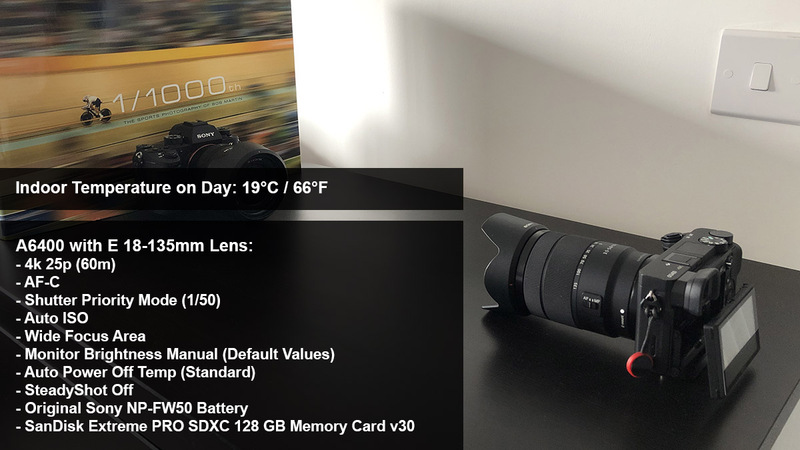 But if you do intend to shoot a lot of long 4k videos it could be an issue, unless like I said my a6400 is faulty and it’s the only one out there that is. I’d be interested to know if any one else has overheating issues when shooting 4k with the a6400? Let me know in the comments. If you do buy through my links and share my content, then thank you very much for your kind support and I look forward to seeing your shots in one of the many Alpha Shooters Facebook Groups that I run.